Below is a comprehensive list of hotels in Sandwich. Use the sort links to refine your search or to find featured accommodation in Sandwich. Many of our hotels in Sandwich feature no booking fees and best price guarantee when booked through the Pictures of England website. To list your hotel in Sandwich, click here. 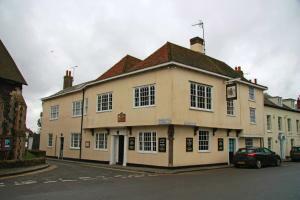 The Kings Arms Hotel is set in the heart of Sandwich, 10 minutes’ walk from the railway station. This traditional English inn dates back to 1580 and.. Located just 12 miles from Canterbury, Goss Hall Bed & Breakfast offers free WiFi access and free onsite parking. 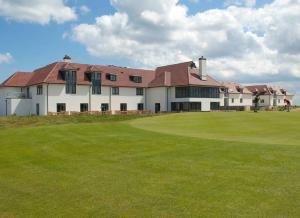 With a garden and a terrace, the pro..
At the Prince’s Golf Club in Sandwich, The Lodge at Prince's offers stylish accommodation with views across the greens or towards Sandwich Bay and R..